When human muscle fatigues, athletic performance becomes impaired. For those individuals suffering muscle or metabolic diseases the effects of muscle fatigue can make everyday tasks difficult. Understanding the scientific processes responsible for skeletal muscle fatigue is therefore central to the study of the physiology of sport, exercise and health. medical conditions including cerebral palsy, muscular dystrophy and glycogenosis. 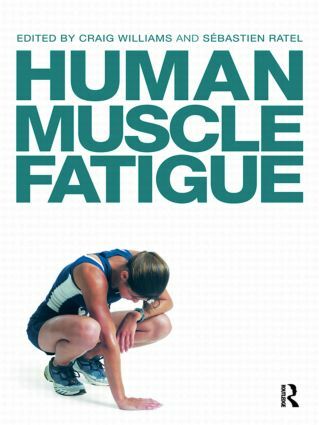 Human Muscle Fatigue covers both clinical and applied approaches in sport and exercise physiology and devotes an entire section to the conceptual framework underpinning research in this area, helping readers from a wide range of backgrounds to engage with the topic. Accessible and detailed, this book is a key text for students and practitioners working in exercise and sports science, medicine, physical therapy and health.